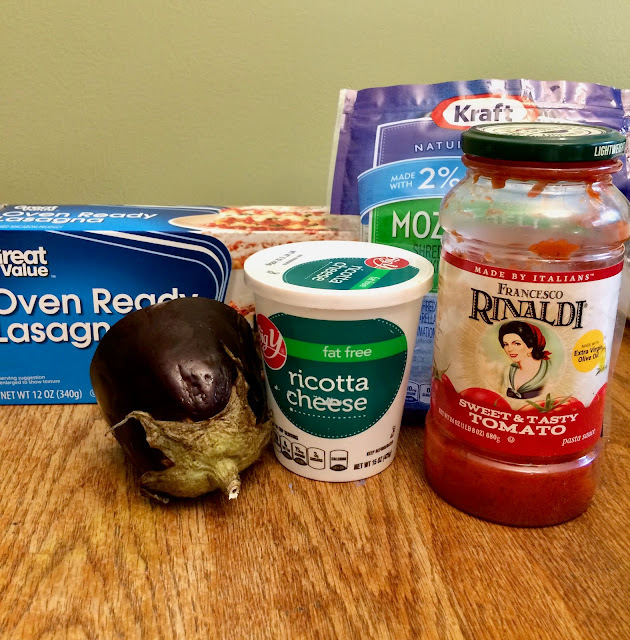 The quest for fat free ricotta made this recipe quite a challenge. Since low fat dieting has all but died, finding some fat free dairy products is not easy. My shopping adventure started at Walmart. They didn't carry it. Then on to Price Chopper. They had it but it expired three months ago. I let the employees know and moved on to the next store, hopeful that I wouldn't have to try a fourth. Finally, Big Y actually had it and it was in date! Success! So was this Easy Cheese Lasagna worth all the effort? Well, yes. This was a delicious meal and I would definitely recommend trying it if you're looking for a lower calorie lasagna. My husband and daughter liked it. My son didn't try it. But that doesn't mean a thing because he won't touch regular lasagna! There are a couple tweaks I would make. First, I would add salt and pepper to the ricotta mixture. Second, and this would affect the calories, I would add a quarter cup of parmesan to the ricotta and mix it together. Even without those additions, it was delicious and I'll be making it again. For the vegetable I used eggplant, which was delicious. I also think it would be great with different vegetable add-ins like zucchini or mushrooms. 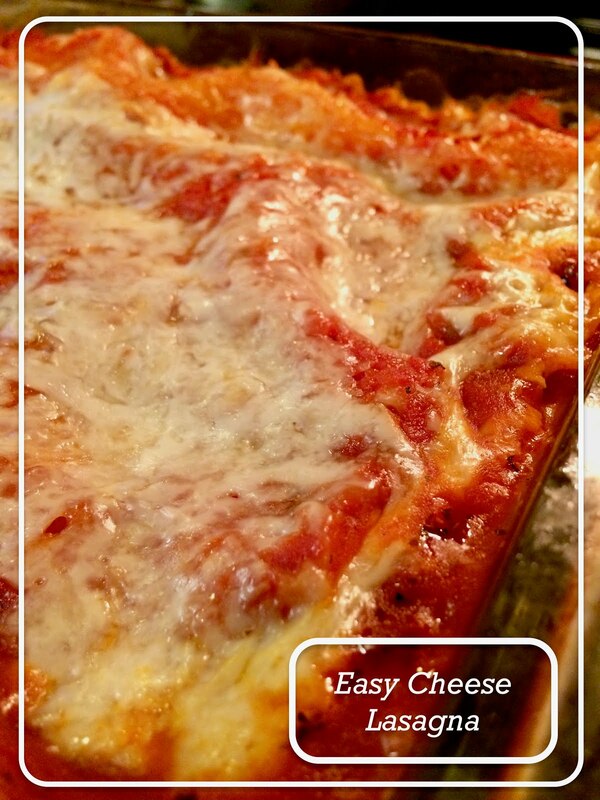 This is a no fuss, quick lasagna, and if you're not looking to save on calories, I'm sure it would be even tastier with full fat ricotta and full fat mozzarella. Find the original recipe on page 1: 100 Favorite Weight Watchers Recipes. Preheat oven to 375 degrees. Spray an 11x13 baking dish with nonstick spray. Spread 1/3 of your sauce onto the bottom of the dish. Then lay, without overlapping, 3 noodles on top of the sauce. Top the noodles with more sauce followed by all of the ricotta, all of the vegetables and half of the mozzarella. Lay 3 noodles over the cheese and top with remaining sauce. Top off with the rest of your mozzarella cheese. Cover with foil and bake 1 hour. Remove foil and bake 5 more minutes. Let stand 5 minutes before serving. All nutrition information is approximate and is calculated at recipes.sparkpeople.com.